ElfYourself 2012 at elfyourself.com - OfficeMax Christmas tradition returns for 2012! 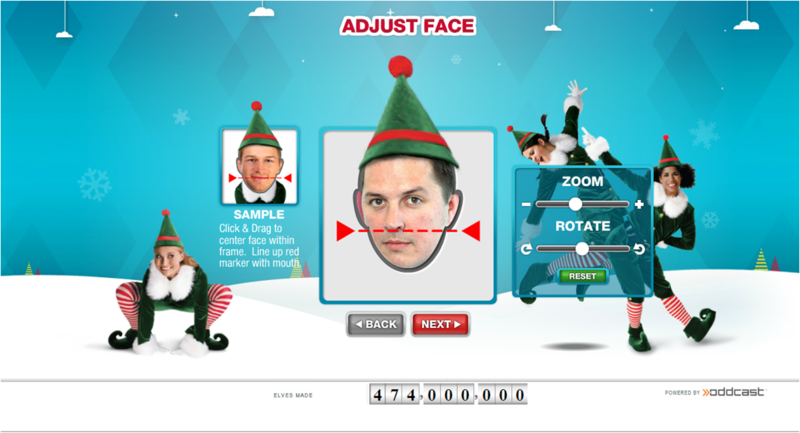 ElfYourself is back for 2012! 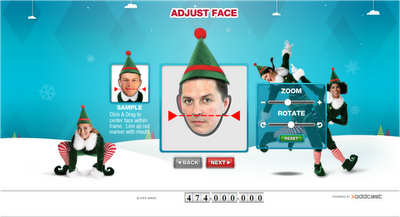 The OfficeMax tradition is returning for Christmas 2012, allowing you to 'ElfYourself' into a personalised Christmas message by simply uploading a photo and designing an Oddcast powered Christmas Elf greeting. ElfYourself was first created for Christmas 2006 by the Evolution Bureau and the idea of Elf(ing) Yourself has grown to become a popular holiday pastime across the world. 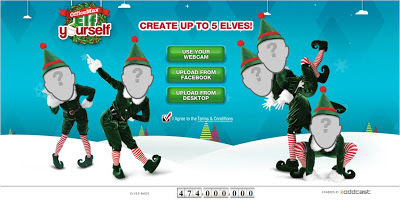 In the first year ElfYourself.com received over 36 million site visits with 11 million elves made. The number of elves created has continued to increase as the elfyourself.com site has returned year after year and hundreds of millions of elves have now been created. How many more elves will be made through Elf Yourself 2012? Originally starting as a simple microsite, elfyourself.com is now powered by Oddcast and has email / social sharing built into it. 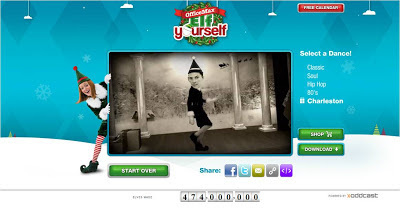 Users of Elf Yourself can share their films with friends through Facebook, Twitter etc, embed their films to blogs / websites and can pay to download their ElfYourself video (this enables Elf Yourself users to have a permanent version of their films - the ElfYourself.com site only opens for the holiday season.) There is even a range of ElfYourself merchandise which can feature a users' personal ElfYourself images - for example items such as mugs, magnets, puzzles, blankets, mouse mats and real world greeting cards are available to purchase directly from the ElfYourself site. ElfYourself 2012 - Hip Hop elf! Indeed, a major premise behind many viral initiatives is this idea of personalisation of content. Personalisation and user involvement helps turn Owned Media into something to be shared and talked about (Owned drives Earned) and Office Max's Elf Yourself remains the king of the genre - I'm sure ElfYourself 2012 will be another hit! ElfYourself 2012 Live - broadcast to live to all the other Elf Yourself users! 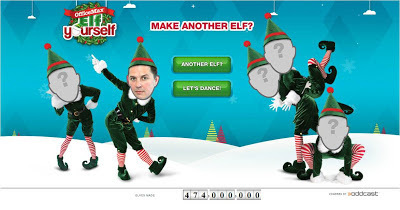 Still like this - feel free to leave a link to your ElfYourself 2012 video here!